The Young Women Christian Association (YWCA) PNG – ‘Rise Up’ program is not only making an impact amongst young women in Papua New Guinea but also within the Pacific where it is being rolled out for the first time in Samoa. This program was adopted by PNG from Solomon Islands and piloted in Port Moresby in 2013, at Kerema Compound (KC) Settlement, Malaoro. It began making progressions in January 2015, after it was tailor made in 2014, to suit the needs, cultures and aspirations of young women not only in PNG but throughout the world. Since its inception, the program which comes under YWCA Young Women’s Desk, continues to be a success story with almost 500 young women in the Autonomous Region of Bougainville (ARB) and PNG participating in the program so far. Recently, ‘Rise Up’ made history in Samoa where it was launched for the first time by YWCA PNG - Young Women’s Coordinator, Naomi Woyengu. Ms. Woyengu took the PNG version of the ‘Rise Up’ training to Samoa following a recent Memorandum of Understanding (MOU) signed between YWCA PNG and YWCA New Zealand. 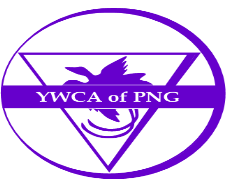 The agreement allows YWCA PNG to deliver the training from August to December 2016 with funding support from YWCA New Zealand. Ms Woyengu was in Samoa recently to deliver the training from the 29th of August to 1st September 2016. Ms Woyengu targeted 30 participants but ended up having a total of 43 young women trained in “Rise Up”. Ms Woyengu says, “It’s a first of its kind training and YWCA Samoa and its participants wholly embraced its contents especially how it integrated culture and biblical principles into the training.” She is expected again, in Samoa in November, this time to witness the training delivered by her first graduates to a local community there. Commenting on the launch, YWCA PNG Executive Director, Diane Kambanei says “YWCA PNG is excited to take the lead in training and implementing the ‘Rise Up’ model throughout PNG and the Pacific, equipping the next generation of women leaders.” With YWCA PNG now seen as a leader in the delivery of ‘Rise Up’ within the Pacific, Ms Kambanei hopes more countries will follow suit in using the program as a tool to train not only their young women but young men as well. “The flexibility of the program allows any YWCA member country to adopt and use the program to their own needs and context”, Ms Kambanei adds. In the ARB, where “Rise Up’s is having a major impact through support from DFAT and Plan International, young women are taking the lead to be agents of change within their communities. This was showcased at one of the schools in ARB where a young woman who underwent the YWCA PNG Rise Up program, impressed Australian Department of Foreign Affairs & Trade (DFAT), Plan International and TVET representatives with her level of confidence, when she spoke on how ‘Rise Up’ gave her the voice to speak. Ms Kambanei who relayed the story after a recent trip to Arawa says, this was worth the time and efforts put into the program. ‘Rise Up’ trains, young women in Public Speaking, Leadership, Gender Based Violence, Human Rights, Women Rights, Sexual Reproductive Health and Climate Change. Rise Up’ continues to write more positive stories for itself. In October 2016, the program will be introduced into the foot print villages of ExxonMobil, particularly Porebada, Boera and Papa –Lealea under a partnership program between YWCA and ExxonMobil. And this is not the end of the story for Rise Up. Later this month, through another partnership program with DFAT and World YWCA, Rise Up will be delivered to the four main branches of YWCA in PNG. Two Officers representing YWCA branches in Goroka, Simbu, Port Moresby and Lae will be trained on how to deliver Rise Up in their respective provinces. YWCA PNG in thanking its partners, Plan International, YWCA New Zealand, DFAT, ExxonMobil and World YWCA describes the exploding effect of rise up as a positive sign and a boost on YWCA PNG and how it can deliver with limited capacity and resources.